From a small collection of Ming wares we offer this stunning and scarce antique Chinese miniature lidded porcelain jar decorated in underglaze blue with floral designs dating from the Ming Dynasty. The rounded bulbous jar stands on an unglazed rounded feet with a slightly recessed unglazed base and is decorated in underglaze blue with trailing floral designs hanging down on branches from the top rim of the vase. 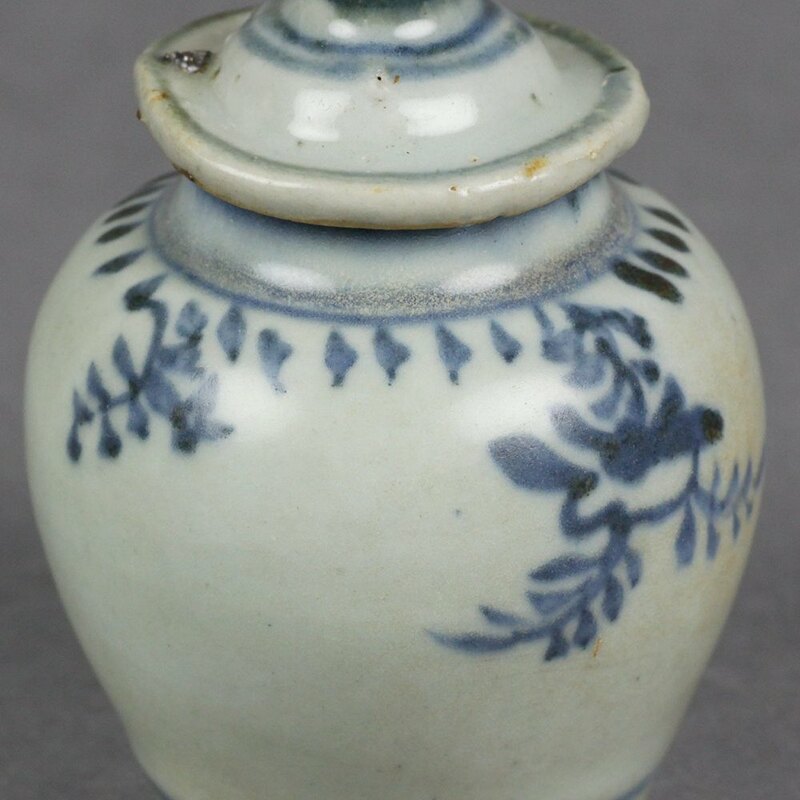 Simple line designs have been painted around the top and bottom of the jar and the jar has its original Chinese hat styled lid again painted in a simple underglaze blue design with unglazed bases. The jar is not marked.